Write in style with the Swanky™ Braces Pen. 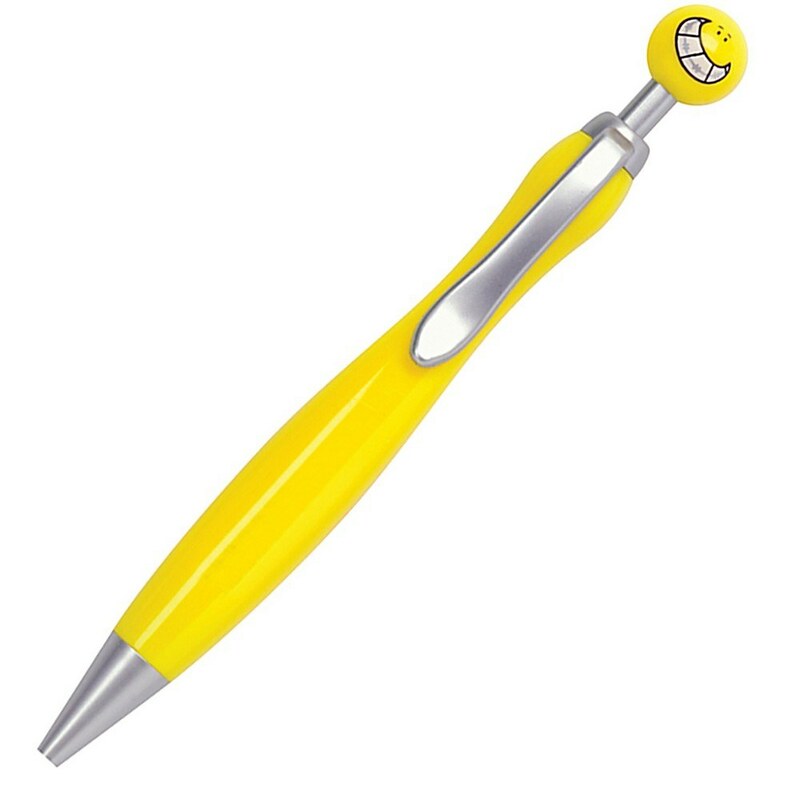 It is a click-action ballpoint pen featuring smiling cap with braces. Dimension: 5.5"l x 0.5" dia. Write in style with the Swanky™ Braces Pen. It is a click-action ballpoint pen featuring smiling cap with braces. It is a useful item for students and children. The pen features a colorful design. It is a good give away gift. The pen is compact and easy to carry. The pen, when added with your logo design, can make a mark with wide audiences. You can target all age groups and definitely have a strong impact at dental conferences.